Sometimes having too many choices can be a hindrance rather than an advantage. 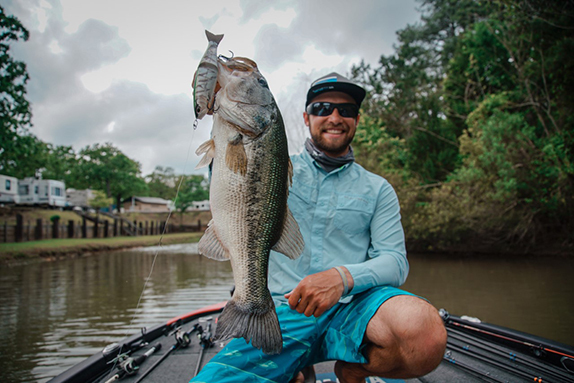 That�s occasionally the case on multi-species bass fisheries, especially when both largemouths and spotted bass are present. That�s a scenario that veteran Alabama pro Matt Herren has dealt with for decades, and understanding the nuances of those choices has been a key to his long-term success. �Knowing the variables of when to do which can be the difference between having an effective tournament or not,� he said. 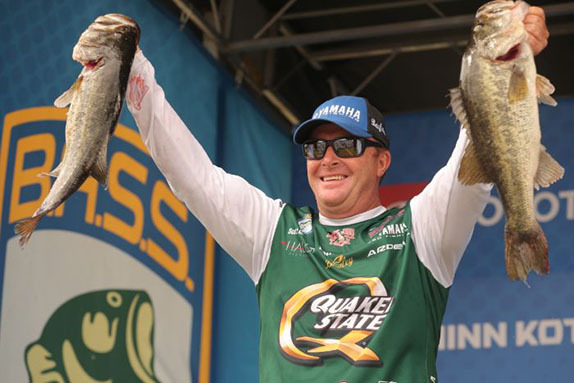 He�s a master of the Coosa River chain, where monster spots reside, so when he fishes at home � or anyplace where both species cohabitate � he�s learned to make decisions carefully. Spots are typically smaller and lighter for their weight. They�re also more nomadic, tend to suspend and key in more frequently on bait. They like rock, starting on bluff banks when it�s cold, then moving to basketball-sized rocks, then softball-sized, then pea gravel � and in some places eventually to red clay. Spots are also more active in colder temperatures than largemouths. Early in the season, any time the water is under 48 degrees, he leans on the spots. He considers them more dependable, especially in current. When it gets a little bit warmer, the largemouths come into play. He�ll key on them in pre-frontal conditions, and the spots in post-frontal scenarios. Largemouths tend to live shallower, in dirtier water, and out of the current. 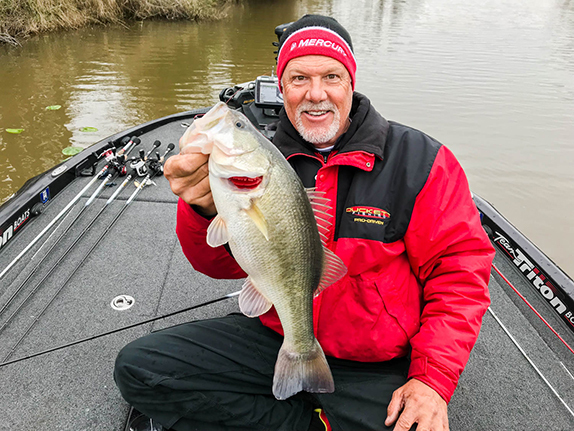 He�s also grown fond of the Damiki Rig, which was popularized on smallmouths at Lake Cherokee � where Herren finished 9th in 2017 � but has also produced exceptionally well on spotted bass fisheries like Lake Martin. It involves a counter-balanced jighead with a shad-type body and it�s a classic �video game� style of fishing. The fish tend to be suspended, so you�ll need to keep it off the bottom, but Herren advised that spotted bass usually prefer it lower in the water column than smallmouths do. For largemouths in spot country, he�s especially fond of Dirty Jigs, spinnerbaits, and PH Custom Lures square-bill crankbaits. He typically throws the latter on 15- to 20-pound Gamma monofilament, only turning to fluorocarbon if he�s trying to get the lure deeper. 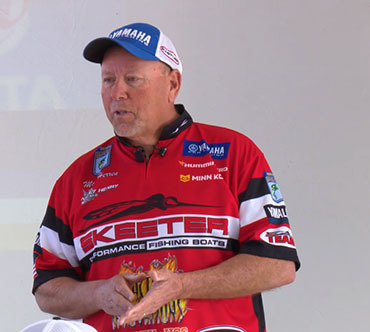 If you want to learn some of the other ways that Herren chooses between largemouths and spots, as well as learning what a �Fudd� might be, check out his full video, available only by subscribing to The Bass University TV.